Dark Magick, Computer Hacking, and Voodoo… Kids These Days. Surveillance videos around the country depict children executing sophisticated heists. Jordan, Brit and Tanner begin to put together clues as they discover magickal correspondences that point to a sinister voodoo connection. As this mystery unfolds Jordan is training Casey, Brit is studying with Mims, and Tanner is working with Carmine. But then a mysterious voodoo priestess shows up in town. Is it a coincidence, or something deeper? 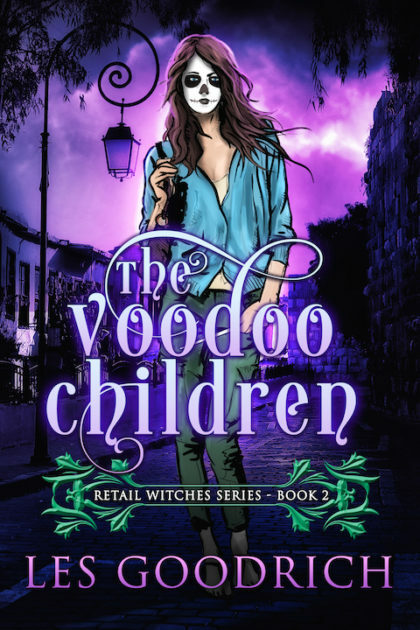 Join the Retail Witches once again as they set out to solve a case that has the authorities baffled.